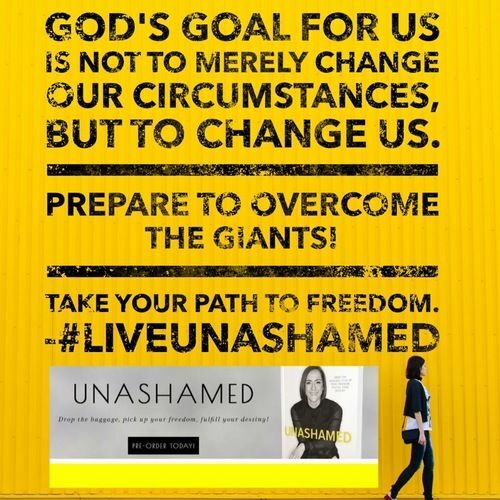 ​Honestly, I didn’t know what to expect when I applied to be on the launch team for Christine Caine’s soon-to-be-released book, Unashamed: Drop The Baggage, Pick Up Your Freedom, Fulfill Your Destiny. I knew the book would be well written with a great message, but I didn’t know that it was going to rock my world. In reading this book, I have been confronted with the reality that for the past few years, I have been running from what God wants me to do. Back in the summer of 2013, I announced I was writing a book. However, since that time what should have been my first book will now become my third book. Why? Because I have been dodging what it is that I don’t want to write about, and the Lord has convicted my heart about this. While I don’t fully understand everything, I know my story and know what it is I have felt compelled to write and speak about for years now. What has held me back? For starters, the one and only time I did share a particularly significant portion of my testimony, I was quickly shut down and shamed. Instead of believing in the commission God has on my life, I allowed this person in their way to decommission me. I’ve also been afraid of what others might think or say. I’ve discovered through this book; there’s just no room in my life or this world for my disobedience and fear. God didn’t bring me through what He did so that I can hide from it or wallow in it for my whole life. He’s brought it out into the light so that He can heal it and use it for His purpose and His glory, and to set others free in the process. 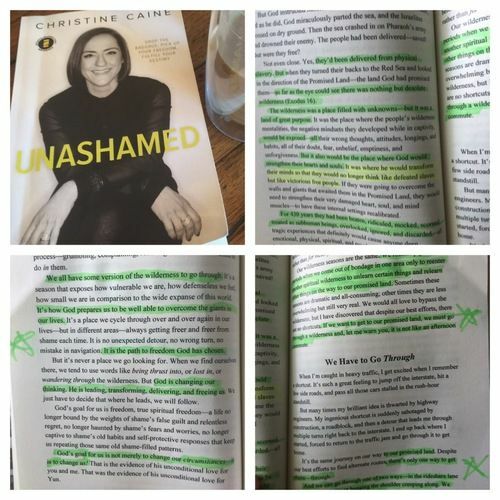 ​As I read through the pages of Christine Caine’s book and learned more about her story, it was revealed to me without a doubt that it was God’s timing for me to read this book. I also feel more confident than ever that yes, He has indeed commissioned me to write about what it is He has asked me to write, and that I need to do so going forward in His strength and power without fear of man. I am fully aware the devil will try and steal my joy to shut this word down, and he will try and use the words I write against me so I will stop. This book has opened my eyes in so many ways. I found it almost impossible not to highlight every word in the book. Many times I had to change the color of the highlighter to keep up with the profound words pouring into my soul. On many occasions I wrote notes, underlined, circled, prayed, and even wrote questions to God as I read this book. I could only handle the pages in short spurts because it was just too overwhelming to take it all in at once. 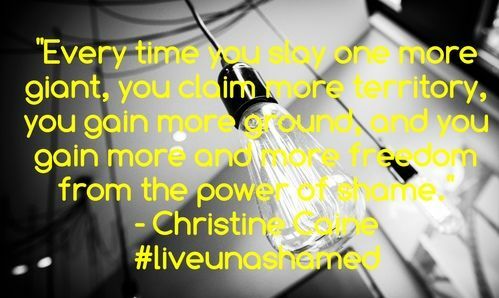 ​Christine’s point is simple; shame is a deeply, hurtful thing, and the baggage we carry can weigh us down. Shame goes all the way back to the original sin in the Garden of Eden. It was shame Adam and Eve felt as a consequence of their action. Adam didn’t commit the initial act, but he was a participant. Once they truly grasped what they had done, shame was immediate. Shame has been around since the beginning, and it still continues today to pursue the majority of the people I know. It reveals itself in different ways—the shame of childhood abandonment or abuse, abandonment of a spouse, failure to be promoted at a job, not performing high enough in school, not having friends, and not being utilized in your church or useful in your family. Everywhere and in everyday life if we allow it to, shame can rear its ugly head in our lives. I appreciate Christine Caine’s message that the threat is real. We always need to be on guard. The Bible tells us to stay alert for the enemy prowls around seeking to devour us (1 Peter 5:8). That’s truth. Jesus saves us, and shamed shame, but we have to be careful not to enter into future shame. In sharing her story and vulnerability with the world, God is going to use her not only to continue to free her but to also free others in the process. I am so grateful she had the courage to step out in faith and write this book to encourage women like me to be free of shame, to be vulnerable, and to do the things God has called me to do so I, too, can be light in this dark world. I promise you will not be disappointed for putting this on your reading list. For more information about pre-ordering this book, please visit christinecaine.com. Official release date is May 10, 2016.